My name is Philippa Willitts and I am a British freelance writer who specialises in writing about social media, SEO and internet marketing. I am passionate about creating top quality writing that is clear, informative, entertaining and well-researched. 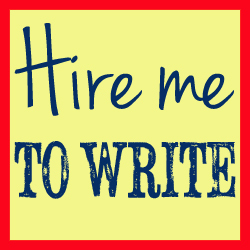 You can also see my main freelance writing site here. I am happy to answer any questions you may have. Please get in touch, and let’s talk!